Being in the moment means being aware of the colors and smells, the taste, and the pain of scratched hands. There is an awareness that this moment will not last. It cannot last. No matter how much we want it to last, it will not. Our minds will inevitably move onto the next thought, and the next experience. 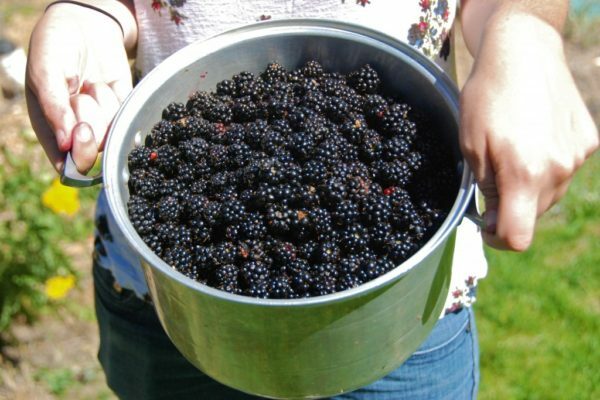 Picking blackberries requires patience as ripe berries are often hidden in the brambles and you have to reach deep into the thicket to gently pull the tender berry from its lodging. It takes many berries to fill a pot. With that much work, the urge is to hurry through the task so we can either stuff ourselves or start the jam making. Whether it’s to gobble the berries so quickly, without tasting them–or to finish bottling jam so we can cross it off our list for the day–the sense experience of berry picking is lost. Eating freshly picked berries is one of life’s delights. Awareness of the briefness of those moments brings appreciation and attention to the simplest task. Trying to hoard the berries, just like hoarding experience will bring disappointment. In mindfulness practice, we learn to accept the moment knowing that it will fade into the next moment. If you keep the berries in the byre, they will rot and turn sour. Being mindful when doing daily tasks is a lesson in informal meditation practice. 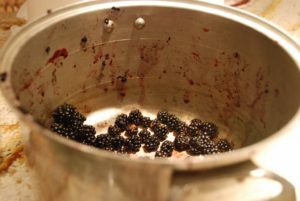 The poem Blackberry Picking shows how hoarding experiences for later, spoils the moment.